The final installment of The Hunger Games is finally here—may the glamour odds be ever in our favor. And at last night’s world premiere, we were stunned by Elizabeth Banks’ gorgeous hair—specifically her elaborate gold, glittering headband. 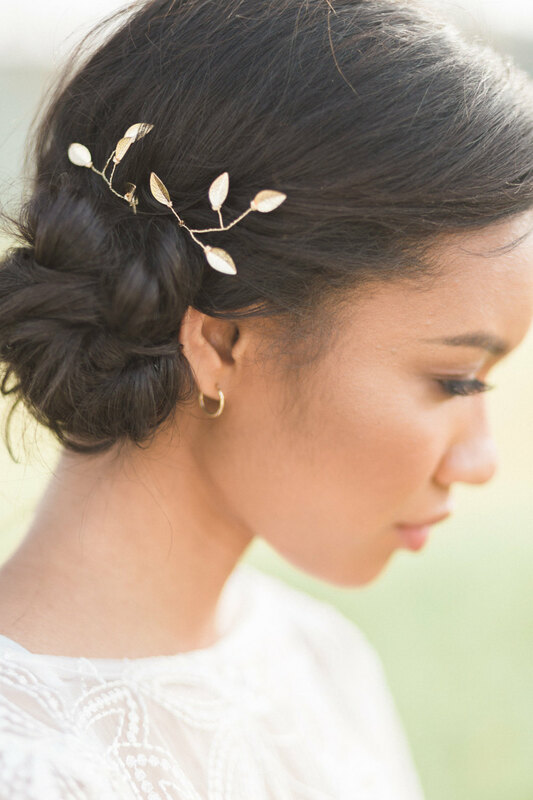 Worn as her (literal) crowning glory, it’s a beautiful combination of organic and sculptural elements that recalls Roman laurels in the most beautiful way possible. Talk about Holiday party hair goals. 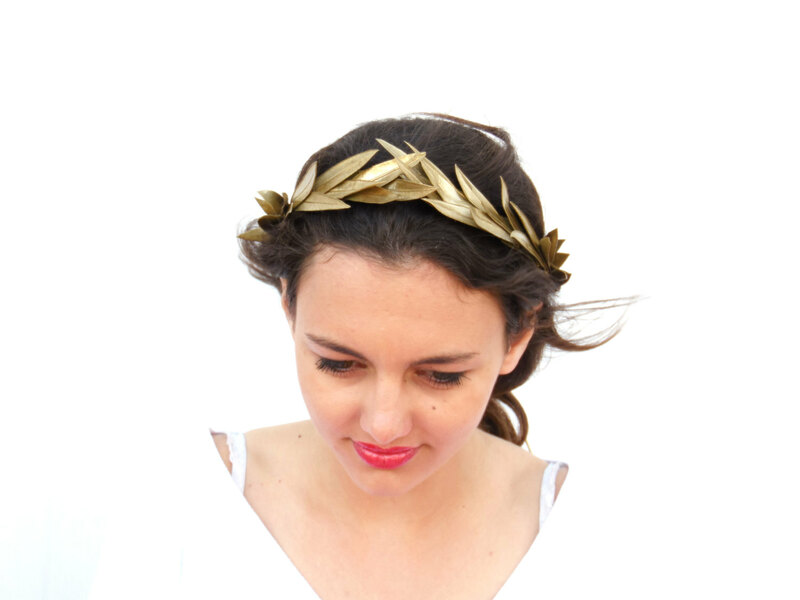 And even though we probably can’t get our hands on her exact headband, you can still get the look. 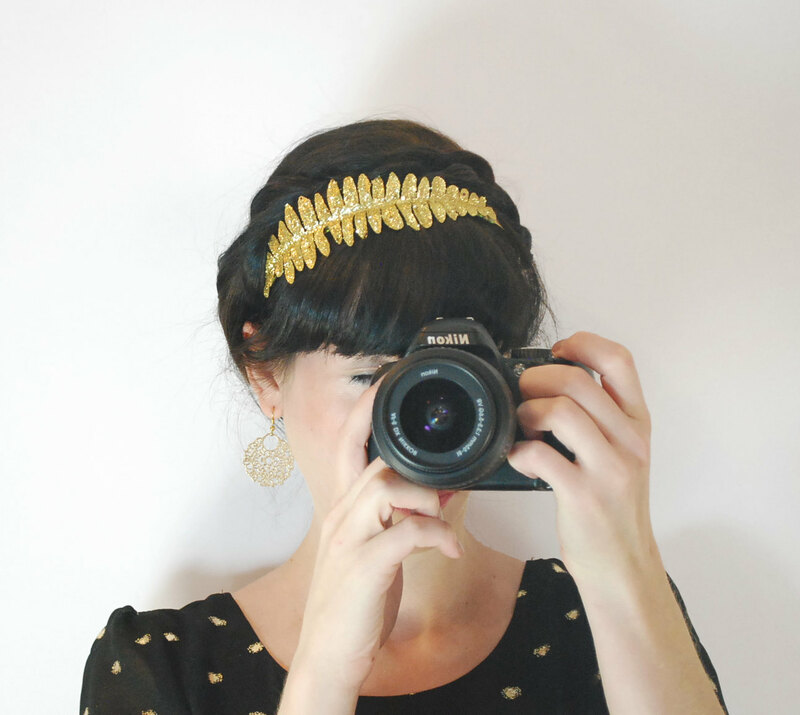 Here are 5 gorgeous headbands from Etsy that will get you Elizabeth’s look for less. This gorgeously glittery headband from Fitzberries is under $20, and the perfect way to add some botanically-inspired shine to your hairstyle. If you’re looking for a golden look that you can wear to work, these subtle gold leaf hairpins from ShopChicShack are exactly what you’re looking for. If you’re more of a minimalist, this beautiful beaded headpiece from ArsiArt is for you. We love how delicate the wirework is, and that you can wear it high on your head (as pictured) or lower on your forehead for more of a boho look. If you want absolute elegance, this delicate leaf-inspired coronet from Black Swan Feather is definitely your best bet. Styles like that that create vertical height are especially good for short-haired babes. 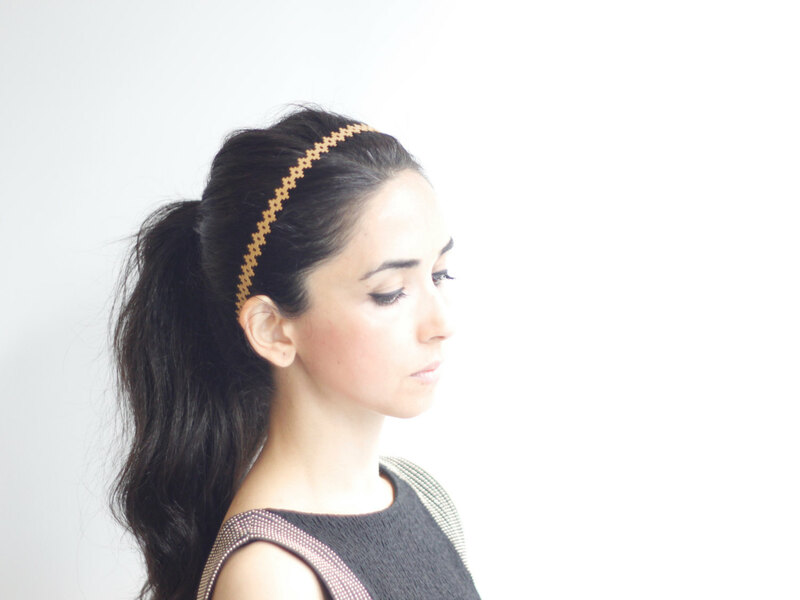 If you’re not really a flora and fauna type of girl, this handmade geometric headband from yukabyguliz is simple, stunning and chic.